Adorn your ears. 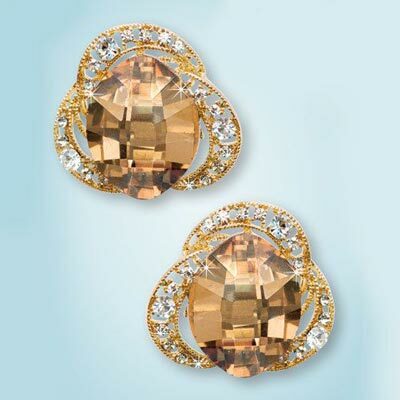 Large, faceted faux gems are surrounded by a row of shimmering rhinestones in these pretty gold-tone Champagne Knot Earrings. Classic knot-style setting takes you from day to night without missing a beat. Pierced style. 1¼" dia.